A compact array spectroradiometer technology that enables precise and robust measurements of UV spectral irradiance is presented. We show that this instrument can retrieve total ozone column (TOC) accurately. 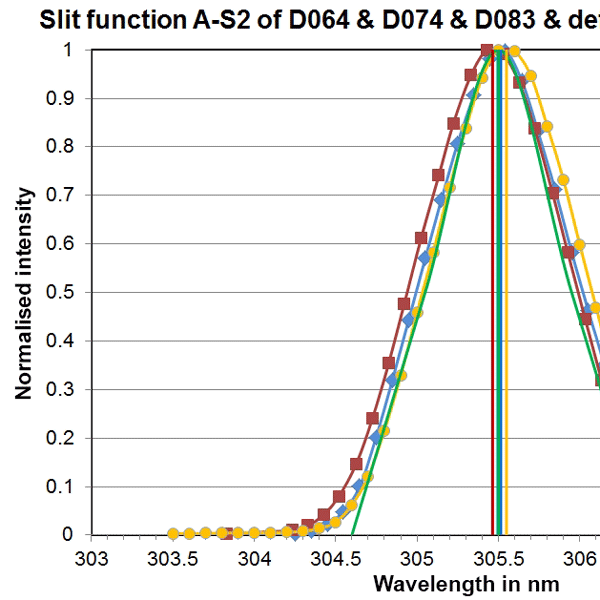 The internal stray light, which is often the limiting factor for measurements in the UV spectral range, is physically reduced so that no other stray-light reduction methods are needed. During an international total ozone measurement intercomparison, the high quality was verified. 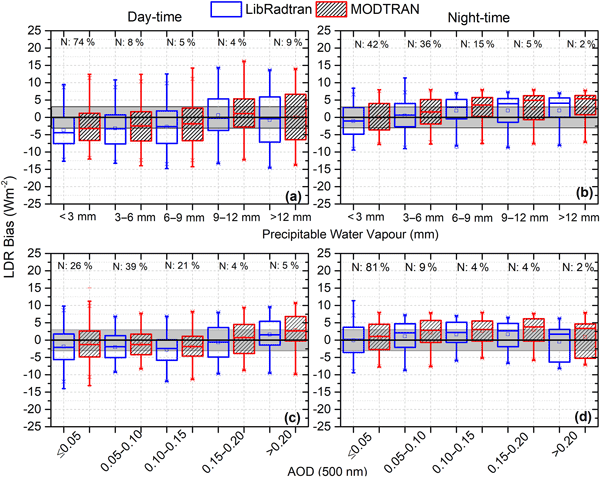 NILU irradiances at five UV channels were used to produce CIE, vitamin D, and DNA- damage daily doses via a neural network (NN) model. The NN was trained with collocated weighted Brewer spectra and uncertainty in the NILU-derived UV effective doses was 7.5 %. TEMIS UV products were found to be ~ 12.5 % higher than the NILU estimates. The results improve for cloud-free days with differences of 0.57 % for CIE, 1.22 % for vitamin D, and 1.18 % for DNA damage, with standard deviations of ~ 11–13 %. A rather homogeneous deep stratospheric intrusion event was mapped by vertical sounding over central Europe and by model calculations along the transport path. The very low minimum H2O mixing ratios demonstrate almost negligible mixing with tropospheric air during the downward transport. The vertical distributions of O3 and aerosol were transferred from the source region to Europe without major change. A rather shallow outflow from the stratosphere was found. Atmospheric remote sounding from space is fundamental for investigating the processes driving climate change. However, for a correct scientific interpretation of these records a documentation of their quality is required. In this context, this paper exploits the high potential of the Izaña Atmospheric Observatory, as a ground-based reference site, to perform the first comprehensive validation of the EUMETSAT atmospheric trace gas products O3, CH4, N2O, CO and CO2 of the remote sensor IASI. The dead time (DT) is characteristic for each Brewer spectrophotometer and non-proper correction of the raw data for its effect may lead to important errors in UV, AOD and TOC measurements. Quantitative estimation of the DT-related uncertainties shown that a 2 ns error in the DT may lead to errors greater than 1 % in TOC. The operational algorithm for the DT calculation and correction is validated and the development of new methods for the estimation of DT is described. Comparisons between satellite and ground-based measurements of the atmosphere are inevitably affected by natural variability due to mismatches in spatial and temporal co-location. These additional terms in the comparison error budget are quantified here for total ozone column comparisons using an Observing System Simulation Experiment. Even when using tight co-location criteria, atmospheric variability is found to impact the comparisons significantly. 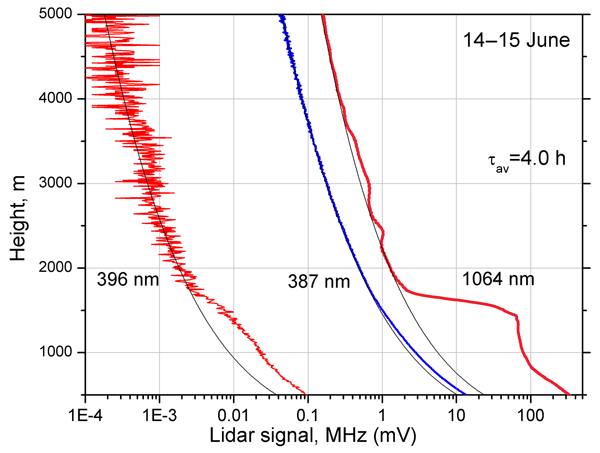 In a 3.5-year long study, the long-term performance of a mobile EM27/SUN spectrometer, used for greenhouse gas observations, is checked with respect to a co-located reference spectrometer. We find that the EM27/SUN is stable on timescales of several years, qualifying it for permanent carbon cycle studies. The performance of an ensemble of 30 EM27/SUN spectrometers was also tested in the framework of the COllaborative Carbon Column Observing Network (COCCON) and found to be very uniform. The SHOW instrument is a prototype satellite concept that is being developed through collaboration between the University of Saskatchewan, the Canadian Space Agency, and ABB Inc. to provide high vertical resolution (< 200 m) measurements of UTLS water vapour with < 1 ppm accuracy. This paper presents suborbital measurements obtained during a demonstration flight aboard NASA's ER-2 aircraft. 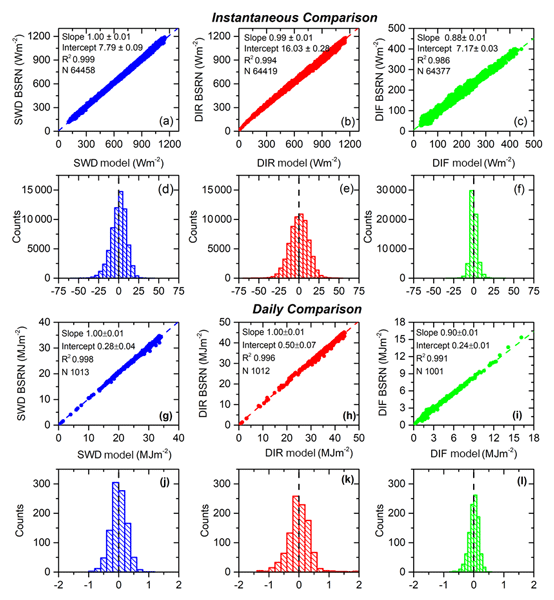 These measurements are validated through a comparison with coincident radiosonde measurements. During the 2017 Ozone Water Land Environmental Transition Study (OWLETS), the Langley mobile ozone lidar system utilized a new small diameter receiver to improve the retrieval of near-surface signals from 0.1 to 1 km in altitude. This allowed for improved near-surface ozone concentration measurements, those most important to human health, while also measuring profiles up to stratospheric altitudes. OWLETS provided multiple instrument comparisons for validation of the system improvement. Methane is currently the second most important greenhouse gas of anthropogenic origin (after carbon dioxide) and its concentration can be increased inside the boundary layer. So, the development of instruments for vertical profiling of the methane mixing ratio is an important task. 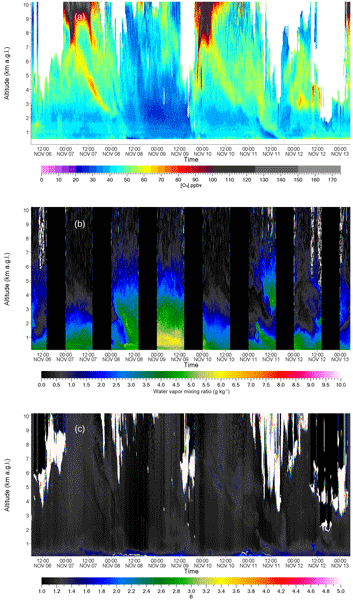 We present the results of methane profiling in the lower troposphere using LILAS Raman lidar from the Lille University observatory platform (France). Environment and Climate Change Canada has recently developed a fully autonomous, mobile lidar system to simultaneously measure the vertical profile of tropospheric ozone, aerosol and water vapor from near the ground to altitudes reaching 10–15 km. These atmospheric constituents play an important role in climate, air quality, and human and ecosystem health. Using an autonomous multi-lidar approach provides a continuous dataset rich in information for atmospheric process studies. NASA's Orbiting Carbon Observatory-3 (OCO-3) is scheduled for a 2019 launch to the International Space Station (ISS). It is expected to continue the record of column carbon dioxide (XCO2) and solar induced chlorophyll fluorescence (SIF) measurements from space used to study and constrain the earth's carbon cycle. This work highlights the measurement objectives and uses simulated data to show that the expected instrument performance is on par with those from OCO-2. We present the error budget for the calibrated and geolocated spectra of the MIPAS limb sounder which flew on the ENVISAT satellite from 2002 to 2012. 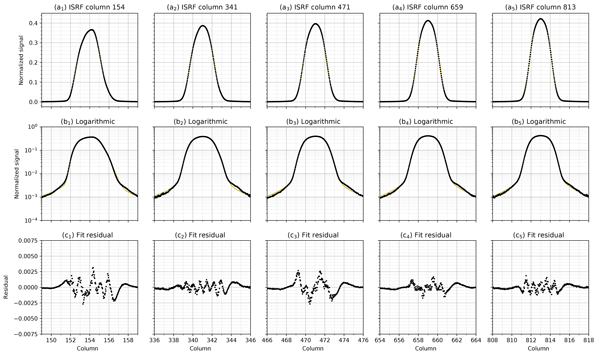 The impact of the different error sources on the spectra is characterized in terms of spectral, vertical, and temporal correlation. The radiometric error is in the order of 1 to 2.4 %, the spectral accuracy is better than 0.3 ppm, and the line of sight accuracy at the tangent point is around 400 m. All errors are well within the requirements. We present a detailed analysis of the long-term performance of the Global Ozone Monitoring Experiment (GOME) on-board ERS-2, which provided measurements of atmospheric constituents for the 16-year period from 1995 to 2011. By means of various in-flight calibration parameters, we monitor the behavior and stability during the entire mission. Furthermore, we introduce the new homogenized level 1 product generated using the recently developed GOME Data Processor Version 5.1. 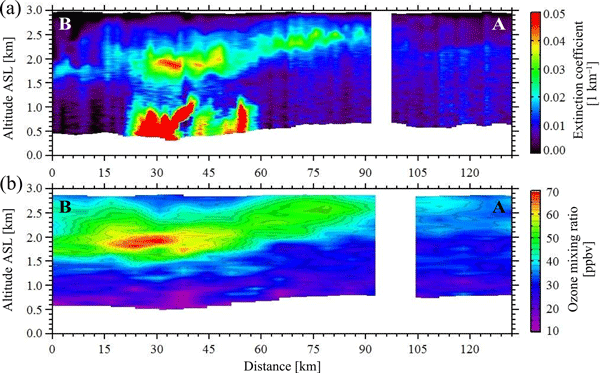 We present an overview of the GreenHouse gas Observations of the Stratosphere and Troposphere (GHOST) instrument, a novel shortwave infrared grating spectrometer designed for remote sensing of total column greenhouse gas concentrations from an aircraft. Using laboratory measurements we show that the GHOST design is able to achieve its science objectives. We conclude by describing GHOST's maiden flights on board the NASA Global Hawk UAV during CAST/ATTREX and show some of the initial results. 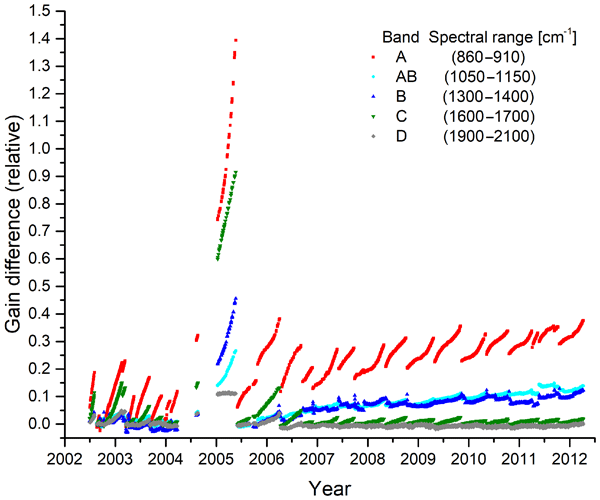 This study investigates the required accuracy of radiometric calibration sources for remote sensing instruments to properly resolve decadal trends of climate relevant trace species like ozone, water vapor and temperature. The required temperature knowledge of the calibration source is in the order of 100 mK. This is demonstrated by a Monte Carlo simulation. The results are confirmed using real measurements acquired by the GLORIA instrument. Aircraft-based laser remote sensing measurements of atmospheric aerosol and ozone were conducted to study air pollution from the oil sands extraction industry in northern Alberta. The ozone mixing ratio measured in the polluted boundary layer air was equal to or less than the background ozone mixing ratio. The lidar measurements detected a layer of forest fire smoke above the surface boundary layer in which the measured ozone mixing ratio was substantially greater than the background amount. We present a novel automated enclosure for protecting solar-tracking atmospheric instruments. It has been deployed in central Munich for greenhouse gas monitoring since July 2016 and withstood all critical weather conditions, including rain, storms, and snow. The enclosure leads to a fully automated measurement system, which collects data whenever possible without any human interaction. It provides the foundation for a long-term greenhouse gas monitoring sensor network. Measurements of atmospheric trace gases over an open path complement in situ measurements by spatial averaging. This paper describes the first open-path measurements of CO2, CH4 and other trace gases by near-infrared Fourier transform spectroscopy. The measurements were made in Heidelberg, Germany, for 4 months in 2014 over a 1.5 km path and compared to in situ measurements made at one end of the path. The experiment setup and methods (and the comparisons of open path to in situ) are described. David P. Edwards, Helen M. Worden, Doreen Neil, Gene Francis, Tim Valle, and Avelino F. Arellano Jr.
We present SWING-UAV, an atmospheric observation system based on a compact scanning spectrometer (SWING) mounted on an unmanned aerial vehicle (UAV). SWING-UAV was operated in the exhaust plume of a power plant in Romania in September 2014, during the AROMAT campaign. SWING quantified the NO2 emitted by the plant and the water vapour content in the boundary layer, in agreement with ancillary data. The system appears in particular promising to study emissions in rural areas. The column averaged dry-air mole fractions of CO2 and CH4 (xCO2 and xCH4) of the Total Carbon Column Observing Network (TCCON) are retrieved from solar absorption Fourier transform infrared (FTIR) spectrometry. At the Ny-Ålesund site in the high arctic, however, during the polar night no solar measurements are possible. Here, we present a new method to measure xCO2 and xCH4 using the moon as a light source in the near-infrared and present the complete seasonal cycles of xCO2 and xCH4. 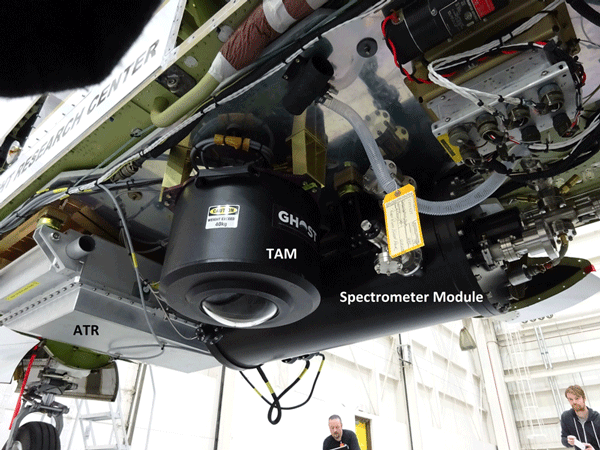 A new limb-scanning Differential Optical Absorption Spectroscopy (DOAS) instrument was developed for NASA’s Global Hawk unmanned aerial system during the Airborne Tropical TRopopause EXperiment to study trace gases in the tropical tropopause layer. A new technique that uses in situ and DOAS O3 observations together with radiative transfer calculations allows the retrieval of mixing ratios from the slant column densities of BrO and NO2 at high accuracies of 0.5 ppt and 15 ppt, respectively. 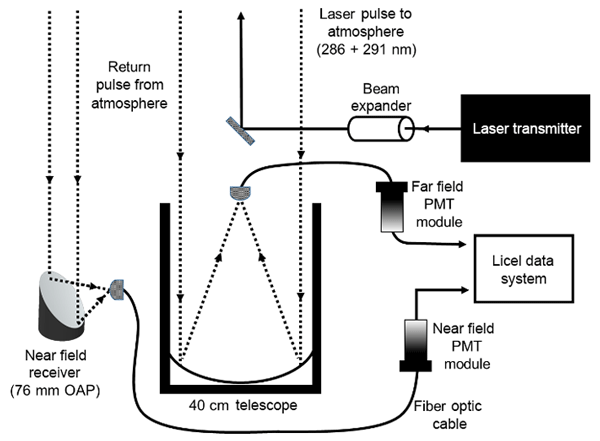 This article describes a new instrument for measuring and quantifying emission fluxes. It introduces the instrument using the solar occultation flux method. Results are presented from the FRAPPE field campaign near Denver, Colorado, from 2014. Calculations of emissions of sources are presented from FRAPPE and compared to emission inventories. 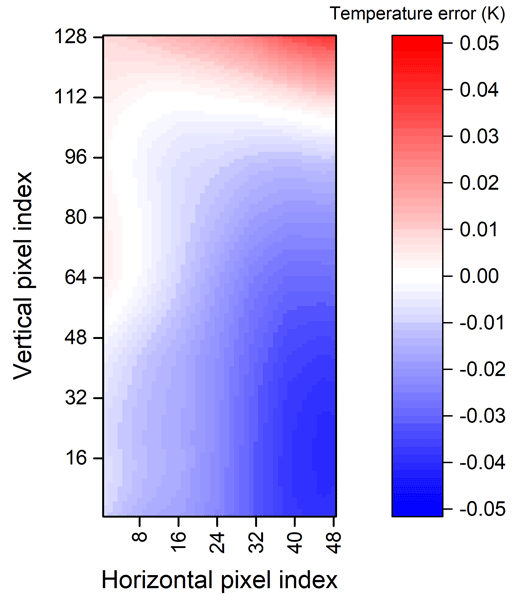 Finally, structure functions are calculated to facilitate the future comparison of high-resolution measurements with low resolution satellite measurements. 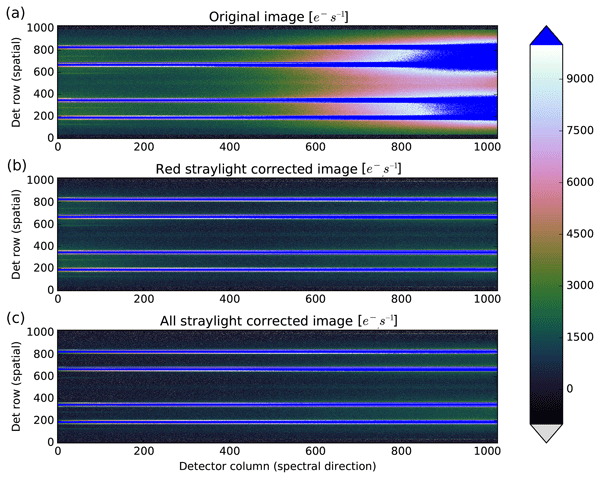 This paper provides a thorough description of the algorithm to retrieve SO2 columns from TROPOMI/Sentinel-5 Precursor measurements. The different algorithmic steps including error analysis are detailed. Scientific verification of the algorithm and validation needs are also discussed. The Orbiting Carbon Observatory-2 carries and points a three-channel imaging grating spectrometer designed to collect high-resolution spectra of reflected sunlight within the molecular oxygen A-band at 0.765 microns and the carbon dioxide bands at 1.61 and 2.06 microns. Here, we describe the OCO-2 instrument, its data products, and its performance during its first 18 months in orbit. Remote sensing of the gaseous composition of non-eruptive, passively degassing volcanic plumes can be a tool for volcano monitoring. Here, we report on a field study that demonstrates the feasibility of remotely measuring the volcanic enhancements of carbon dioxide, hydrogen fluoride, hydrogen chloride, sulfur dioxide, and bromine monoxide in the plume of Mt. Etna using portable spectroscopic instrumentation sampling the plume several kilometers downwind of the source. We present a spectral imager capable of measuring the 2-D distribution of NO2 above well-delimited emission sources (power plant, city, etc.) with an unprecedent spatiotemporal resolution. Tests at a coal-fired power plant demonstrated its capability to observe dynamic processes such as the conversion from NO to NO2 in the early plume. Potential applications are pollution sources monitoring, reactive plume chemistry models validation, ships and volcanic emissions tracking, etc. 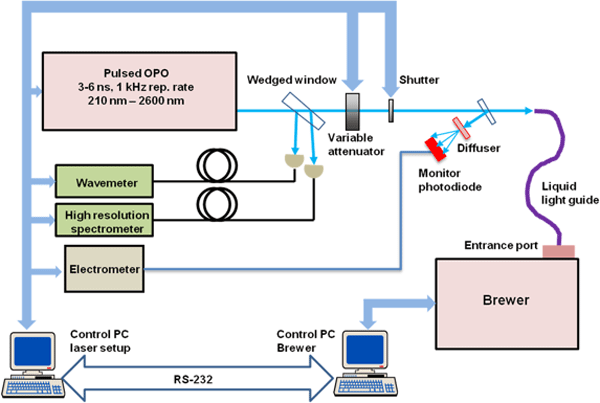 This paper focuses on the demonstration and assessment of thermal infrared laser heterodyne spectro-radiometry for the remote sensing of carbon dioxide (CO2). A research instrument has been developed and operated from the ground using direct sunlight to measure CO2 to a high precision. This technology would enable the development of high-performance miniature ground-based sounders to complement existing measurement networks and contribute to the improvement of global carbon emission assessment. A more than 6-year data set has been acquired by TANSO-FTS onboard GOSAT. This paper provides updates on the performance and describes important changes to the data product for the typical accuracy of retrieved CO2 and CH4 of 2 ppm and 13 ppb, respectively. The V201 Level 1B have long-term uniform quality and provide consistent retrieval accuracy even after the three anomalies of the satellite system. In addition, we discuss the unique observation abilities by an agile pointing mechanism. Optical equipment is usually not made for harsh environments. At our atmospheric observation site on Ascension Island, commercially available optical mirrors were destroyed within weeks after being installed outside. To be able to continue our observations, we had to develop rugged optical mirrors that are able to sustain sea salt spray, volcanic dust, and regular cleaning without loosing their reflectivity and without adverse effects on the retrieval quality. We describe an extension of a portable FTIR (Fourier transform infrafed) spectrometer dedicated to the measurement of column-averaged abundances of greenhouse gases in the atmosphere. The measurement principle is based on a spectrally resolved solar absorption observation (trace gas amounts are deduced from the strength of near-infrared absorption bands). The dual-channel set-up presented here allows co-observing CO while maintaining the highly favourable characteristics of the original device. 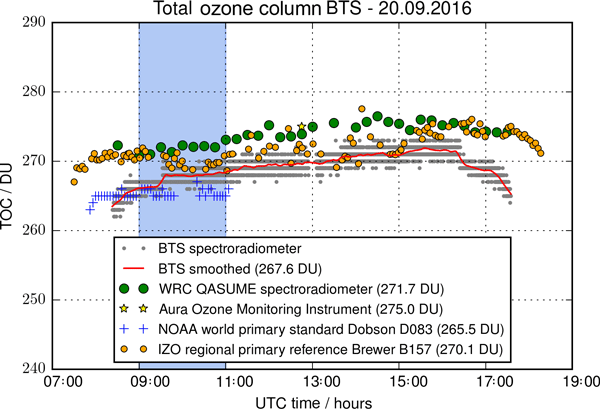 The Global Ozone Monitoring Experiment-2 (GOME-2) flies on the Metop series of satellites. 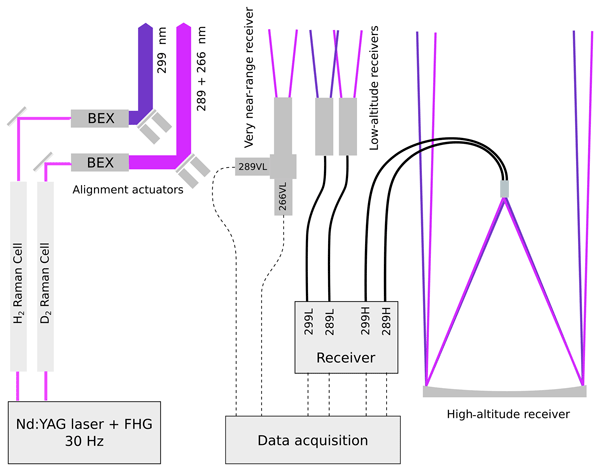 In this paper we will provide an overview of the instrument design, the on-ground calibration and characterization activities, in-flight calibration, and level 0 to 1 data processing. The information contained in this paper summarizes a large number of technical reports and related documents containing information that is not currently available in the published literature. 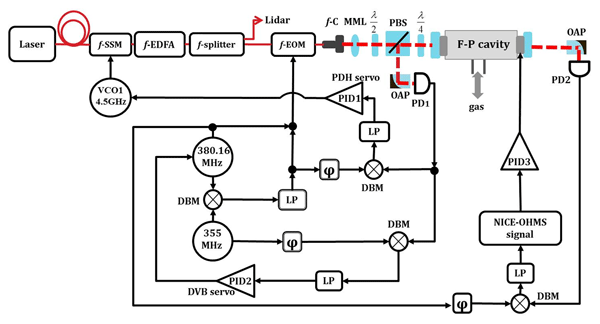 We present development of a digital mobile solar tracker which can be coupled simultaneously to UV–Vis and FTIR spectrometers to measure trace gases in the atmosphere. We demonstrate an angular precision of 0.052º (about 1/10 of the solar disk diameter) during research drives and verify this tracking precision from measurements of the center to limb darkening (CLD, the changing appearance of Fraunhofer lines) in the mobile direct sun DOAS spectra. The study reports on the application of an aircraft-based instrument (AirMAP) measuring atmospheric nitrogen dioxide. Two-dimensional maps are produced at a spatial resolution of 28m x 30m and with wide spatial coverage. The instrument characteristics are explained and the detailed mapping of a power plant emission plume is demonstrated. Small-scale enhanced amounts of nitrogen dioxide from traffic are observed above a motorway. Measurements of atmospheric carbon dioxide and methane total vertical column abundance from onboard the research vessel "RV Polarstern" in March / April 2014. Along the journey on the Atlantic from Cape Town (South Africa) to Bremerhaven (Germany) we could reproduce the interhemispheric gradient of the target gases, and we compared the measurements with satellite and model data. Future campaigns could use the new mobility to characterize sources and sinks of carbon-dioxide and methane. We investigate the sensitivity to polarisation of geoCARB, a proposed geostationary mission to measure column-averaged concentrations of CO2, CH4 and CO from spectra of reflected sunlight, through analysis of an ensemble of simulated polarised spectra for targets in India, China and Australia. Although geoCARB will not carry polarisers or polarisation scramblers, we show that the effects of polarisation can be minimised provided the polarisation signature of geoCARB is calibrated before flight. 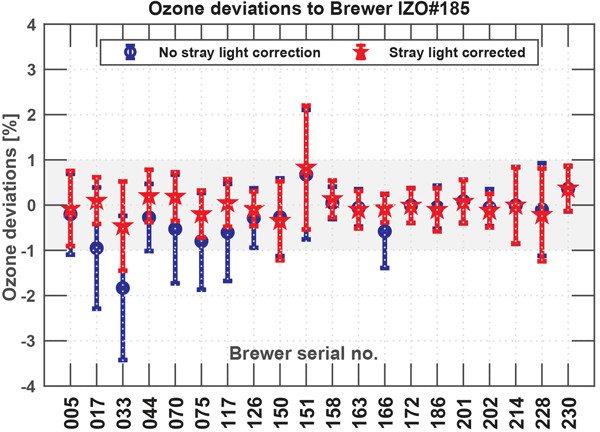 Comparisons show that ozone measured by OMI varied less than 1% relative to other NASA and European satellite instruments or relative to ground-based instruments. This means that OMI data can be used to reliably track global changes in ozone during the expected ozone recovery period and can be used to look for ozone signatures related to climate change. The Geostationary Fourier Transform Spectrometer (GeoFTS) is designed to measure high-resolution spectra of reflected sunlight in near-infrared bands and to deliver simultaneous retrievals of column-averaged dry air mole fractions of CO2, CH4, CO, and H2O at different times of day. We perform radiative transfer simulations over both clear-sky and all-sky scenes and estimate the prospective performance of retrievals based on results from Bayesian error analysis and characterization. The Geostationary Emission Explorer for Europe (G3E) is a mission concept for a greenhouse gas sounder in geostationary orbit. It is designed to provide column-average concentrations of carbon dioxide, methane, and carbon monoxide with high spatial and 2-hour temporal resolution throughout the central European continent. The prospective data density, precision and accuracy suggest G3E as a key component of a future carbon emission monitoring system. An airborne spectrometer was used to produce a high spatial resolution (80 x 20 m) map of nitrogen dioxide over Leicester City (UK) and the surrounding countryside. Clear local hotspots due to traffic, industrial activity and power generation are observable, as are comparative reductions over parks and rural areas. A positive temporal gradient was also observed over the 2-hour flight, possibly indicating traffic build-up over time. We discuss principles for real-time infrared spectral signature detection and measurement, and report performance onboard the NASA Airborne Visible Infrared Spectrometer - Next Generation (AVIRIS-NG). We describe a case study of the NASA/ESA CO2 and MEthane eXperiment (COMEX), a multi-platform campaign to measure CH4 plumes released from anthropogenic sources including oil and gas infrastructure. AVIRIS-NG successfully detected CH4 plumes in concert with other in situ and remote instruments. 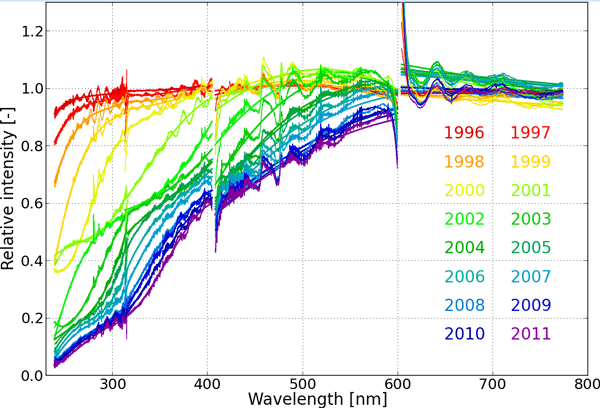 We investigated the susceptibility of the Dobson spectrophotometer No. 118 to stray-light interference. The monochromatic-heterochromatic stray light derived by Basher’s model was used in order to evaluate the specific instrumental parameters which determine if this instrument suffers from this problem or not. The results obtained indicate that the Athens Dobson instrument appears to have an insignificant stray-light error. We derive a yes/no requirement for the usefulness of an O2 lidar as part of the ASCENDS mission that incorporates errors due to atmospheric state misspecification as well as instrumental noise. We find that the larger the CO2 instrument's sensitivity to surface pressure errors, the lower the precision requirement for the O2 instrument to be useful. In particular, the 2um CO2 instrument would benefit the most from the inclusion of an O2 lidar with high precision retrievals of surface pressure.